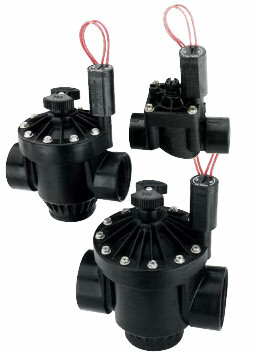 A complete line-up of rugged, professional-grade valves designed to handle the full range of landscape needs. The PGV is a hard working, heavy-duty valve. With a range of sizes available the PGV is suited to small and large landscape applications. All models feature durable highgrade construction and a rugged diaphragm with a support to prevent stress failure. Easy to use and keeps valve box dry. Works to prevent stress failure in tough conditions. Easy to use in any application. No lost parts during servicing. Dial setting pressure regulation for precise system control.